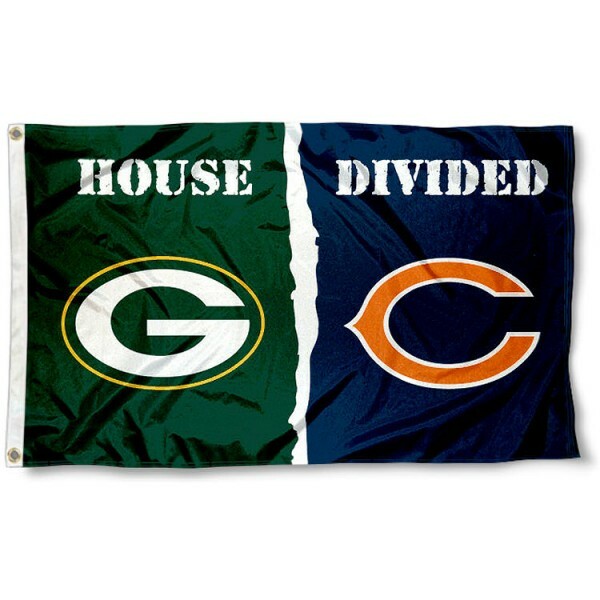 The Flag for Divided House - Chicago vs. Green Bay measures 3x5 feet, is constructed of 100% polyester, offers quadruple-stitched fly ends, and two metal grommets. The Football Team logos are screen printed into our Flag for Divided House - Chicago vs. Green Bay and is Genuine NFL Merchandise. Display your Flag for Divided House - Chicago vs. Green Bay with any size of our tailgating flag poles or 6' aluminum flagpole and adjustable flag bracket.